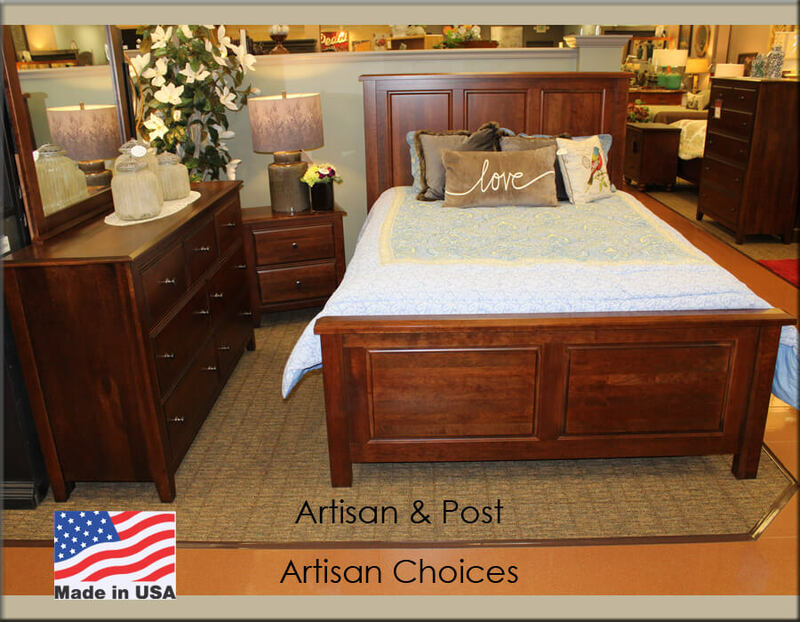 The Artisan Choices Bedroom Collection constructed from solid cherry wood. This collection is Made In America by Virginian Craftsmen to provide the highest level of quality. Available in Five different finishes: Amish Cherry, Rustic Cherry, Dark Cherry, Natural Oak, and Classic Dark Oak. With the Artisan Choices collection, make your bedroom beautiful, unique and personal with customized options. Whether it’s a classic frame with contemporary stain to match, or a particular knob that makes all the difference, we offer the choices to create your own perfect bedroom. This collection is crafted with solid wood furniture with a single goal: quality first and always. Over the years styles and tastes have evolved, but the commitment to excellence is unchanged. The Artisan Choices collection offers enduring quality to those seeking to establish their own traditions. Choose from case pieces such as the triple dresser, Villa chest, nightstand, and Loft media chest. Queen, Cal King, or Eastern King sizes available. 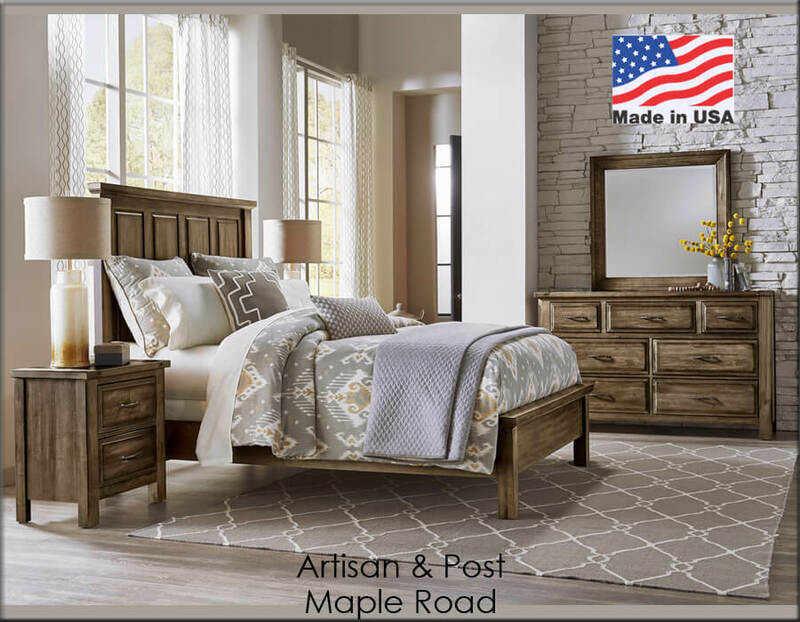 The Maple Road Collection is proudly made in America. All of the solid maple used to create this elegant collection comes from within a day’s drive of the factory. Every piece of the Maple Road Collection is available in three finishes-Weathered Gray, Antique Amish, and Maple Syrup. This collection is crafted with solid wood furniture with a single goal: quality first and always. Over the years styles and tastes have evolved, but the commitment to excellence is unchanged. The Maple Road collection offers enduring quality to those seeking to establish their own traditions. Choose from case pieces such as the triple dresser, 5 drawer chest, nightstand, and sweater chest.